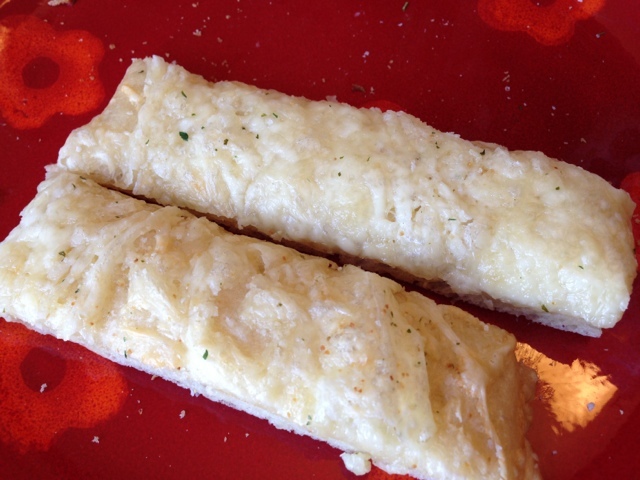 In the past, we have loved Pizza Hut cheese breadsticks or Papa John's cheese breadsticks. I know, not necessarily healthy in general but when you have a pizza and Mountain Dew loving husband, making from scratch is a way better option than trying to get him to eat cheesy green beans or something. I mean, seriously. These are quite delicious and the last time we got cheese breadsticks from Pizza Hut (last weekend) they were definitely not as tasty as these. 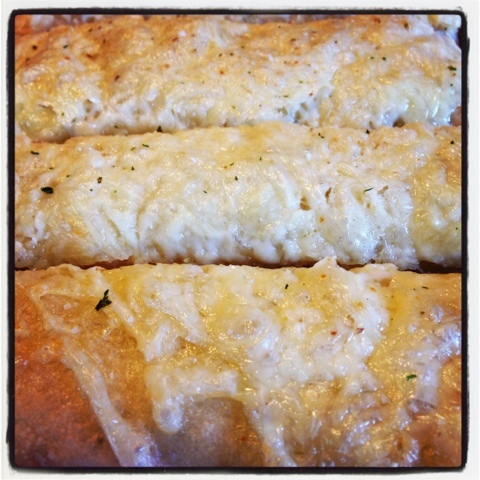 I actually use my pizza crust to make these so I usually make a pizza and breadsticks. I will just do the portions for breadsticks and you can double to make a large pizza with it (I also have my homemade pizza recipe on here as well). 2. Add room temp water, honey, olive oil. Let sit 5 minutes. 3. Add your flour and sprinkle garlic salt in as well. 4. Mix together and knead 3-5 minutes (I do this by hand on the counter). Add more flour if needed to keep from bring sticky and make sure it's a smooth ball. 5. Let rise in a greased bowl with a towel over it in the oven. Temp should be around 80 degrees (I turn on the oven a couple minutes then shut off). 6. Let rise 1 1/2 - 2 hours. You can do less time if you prefer but it may not be as fluffy. 7. Take out and punch down. 8. Spray a cookie sheet with olive oil spray or butter it. Roll out dough onto sheet into a rectangle shape. 8. Spread your softened or melted butter on top. 9. 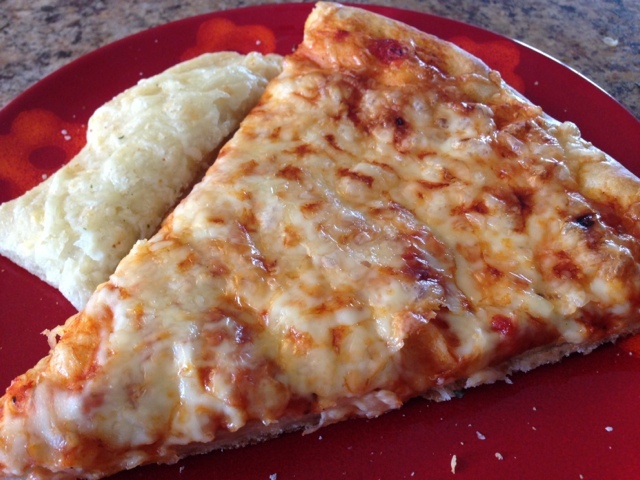 Sprinkle garlic salt, Parmesan cheese, and top with mozzarella cheese. 10. Bakes at 400 degrees for about 15 minutes or until it gets a little golden. 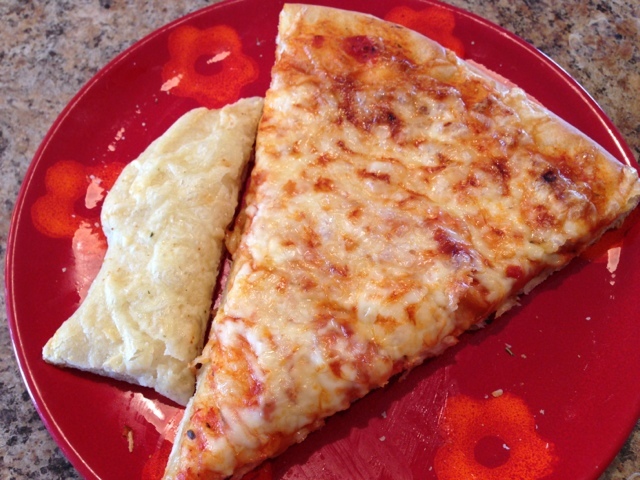 Last night I just made the pizza and these together and they both cooked at the same time. It was tasty!